Mendaki Sense Collaborated with Innovation Garage to create a Unique Electronic Kit for the community to teach kids about Electronics and Coding using the Arduino Platform.We wanted to to use this Kit to Ensure Learning was Easy and Quick for them to pick up skills such as Coding and Electronic Prototyping.The Community loves the kit and have been using it for their own projects. We developed the Smart Home Project to help students to know about Smart Homes that are widely available in countries like the USA and China. The purpose was for them to learn basic Electronic Prototyping and Microbit Coding to help them learn and challenge themselves to pick up new skills and be more hands on so to also strengthen their fundamentals the science concepts they learn in School.The Project involved the Use of our Gabby Board and it was exciting for the students to use it to control the house wirelessly. Our Students from Electronics Made Easy competed in the Gems World Academy Technopreneur Challenge (Feb/March18) They Presented their Smart Home Project Idea Prototype to help kids to get Quality Education as Part of United Nation Sustainable Developmental Goals. 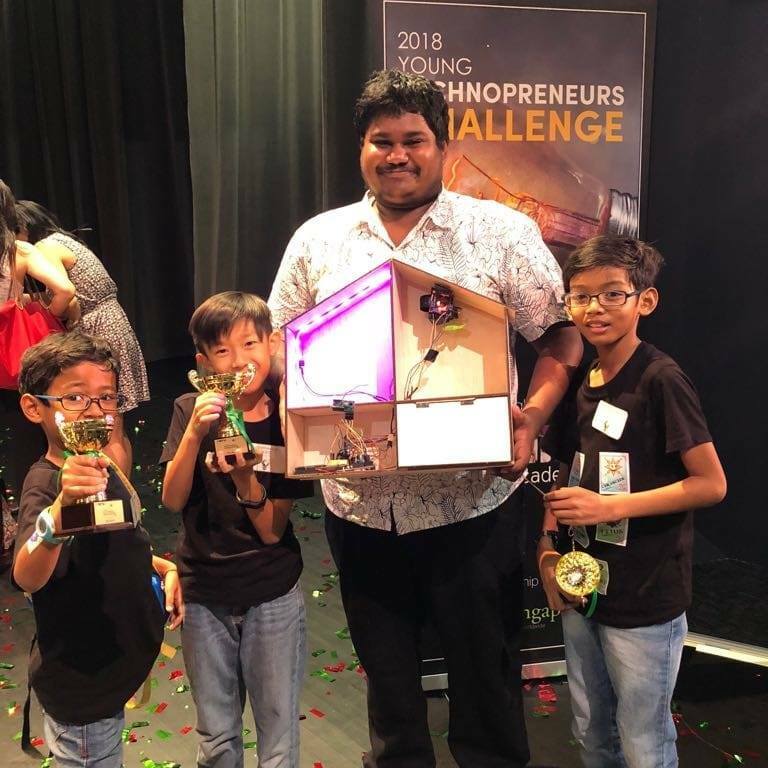 They won the Best Booth Award for their creative work and will be embarking to make it more cost effective to do the Smart Home Electronics Kit to be able to taught in Rural Areas and developing countries. Gabby Microbit Extension Board will help students to learn how to use the Microbit Board to interface with Electronics to control LEDs,Buttons,RGB LED(Multicolour),Light Sensor, Potentiometer and Buzzer. The Gabby Board serves as a controller board to control Remote Control Car and Smart Home. We have also used the buzzer as an alarm to be a lost and found device detector to alert people when they have lost their device.